Srinagar recorded a low of minus 7.2 degree Celsius, while temperatures dropped to minus 17.5 degree Celsius in Leh. The temperature in Delhi dropped to 2.6 degrees Celsius on Saturday, recording the season’s lowest temperature so far, IANS reported. The temperature was four degrees below the season’s average. The visibility on Saturday morning was 1,500 metres in most parts of the national Capital, an unidentified official of the India Meteorological Department said. Visibility in Palam dropped to 800 metres. The Regional Meteorological Centre in Delhi has warned of “cold wave and ground frost in many pockets and severe cold wave in a few pockets” in Haryana, Chandigarh and Delhi till Monday. It has also warned of similar conditions in Punjab, West and East Rajasthan. The air quality in the national Capital was “very poor” with Air Quality Index at 398 on Saturday, according to the Central Pollution Control Board. In Haryana, seven people were killed and four injured when a vehicle crashed into two cars due to heavy fog on the Ambala-Chandigarh National Highway, PTI reported. The summer capital of Jammu and Kashmir, Srinagar, recorded a low of minus 7.2 degree Celsius on Friday night. Srinagar had experienced the coldest December night on Thursday when the temperature dropped to minus 7.7 degrees Celsius, PTI reported. At minus 7.2 degree Celsius, the minimum temperature in the city was still five degrees below normal for this time of the season. Qazigund in south Kashmir recorded a low of minus 6.2 degrees Celsius on Friday up from minus 6.7 degrees Celsius the previous night. Kupwara in north Kashmir recorded a low of minus 6 degrees Celsius on Friday. 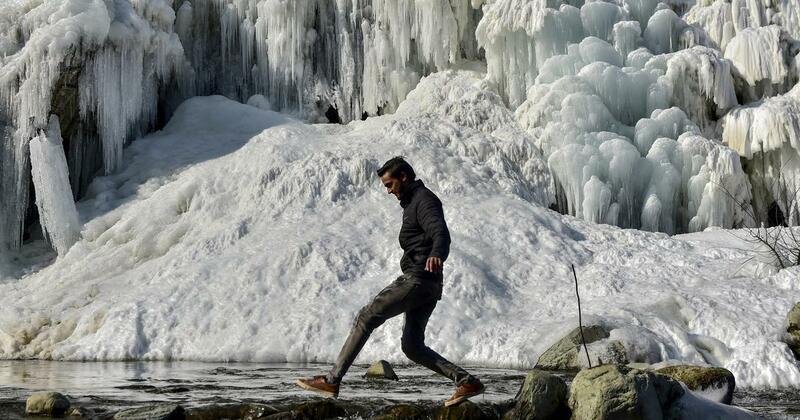 Pahalgam, which serves as a base camp for the annual Amarnath yatra in south Kashmir, recorded a minimum temperature of minus 8.3 degrees Celsius Friday up from minus 9.5 degrees Celsius the previous night. In Ladakh region’s Leh town, temperature dropped to minus 17.5 degrees Celsius last night, the official said. Kargil recorded a low of minus 16.7 degrees Celsius. Darjeeling in West Bengal and Gangtok in Sikkim on Friday received snowfall for the first time in 10 years, Hindustan Times reported. Sandakfu, the highest point in West Bengal, received regular snowfall. “Darjeeling town, however, has not seen any snow in a decade,” said Pradip Tamang, head of tourism department of Gorkhaland Territorial Administration. 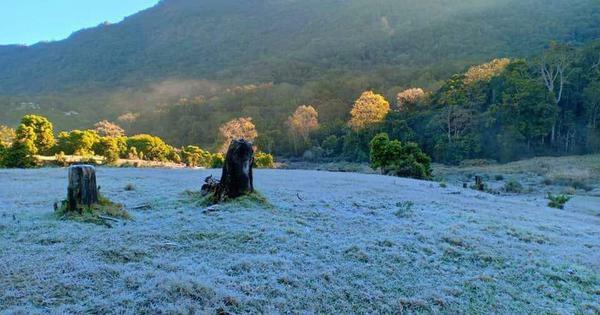 The minimum temperature recorded in Darjeeling was between minus 2 and 4 degrees Celsius. Gangtok, Nathu La, Tshangu Lake and Ravangla in Sikkim also received snowfall. Several tourists visiting Nathu La pass on the India-China border were stranded as roads remained covered with snow. The Army has rescued at least 3,000 people stranded at Nathu La pass, NDTV reported on Saturday. An unidentified Defence ministry official said around 1,500 tourists who were rescued have been accommodated at 17 Mile, while the remaining tourists were shifted to 13 Mile.